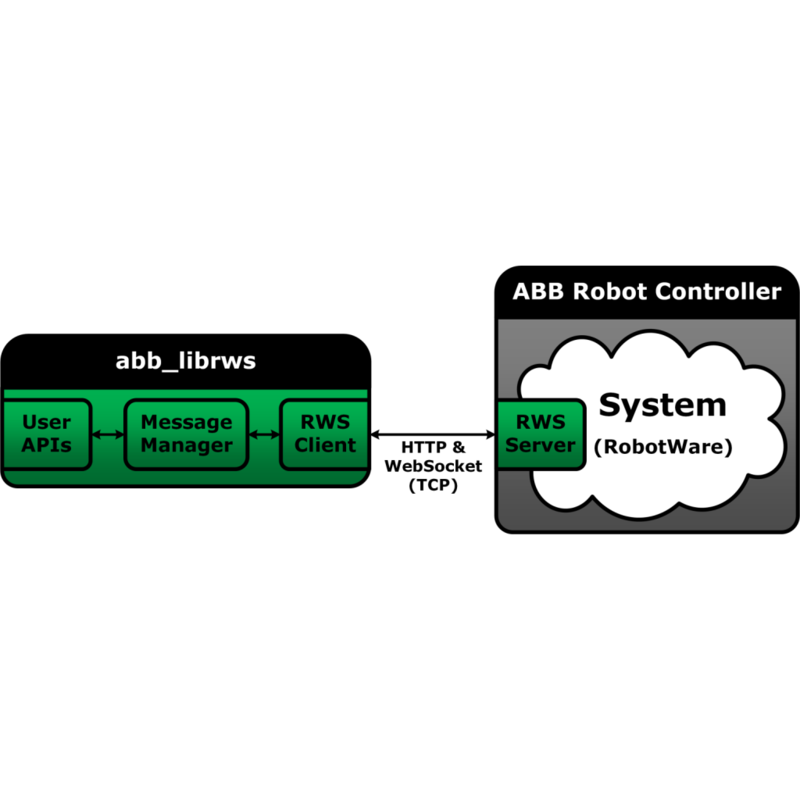 abb_librws is a C++ communication library for facilitating, and easing, the use of the Robot Web Services (RWS) interface of ABB robot controllers. In a nutshell, the library helps with setting up communication channels, parsing RWS messages, as well as providing user APIs. The library does not depend on ROS, and as such it can also be used on non-ROS systems. However, the library has been wrapped inside a ROS package for making distribution and sharing a breeze. Please visit the library’s GitHub repository for a more in-depth description of supported features, requirements and limitations. The core part of the library was developed throughout the European project SYMBIO-TIC, while the open-source process and creation of a ROS package has been performed during the ROSIN project. This project has received funding from the European Union‘s Horizon 2020 research and innovation programme under grant agreement No 732287. The project started in Jan 2017 and will end in Dec 2020. The opinions expressed on this website reflect only the author‘s view and reflects in no way the European Commission‘s opinions. The European Commission is not responsible for any use that may be made of the information it contains.